Law Commission Consultation Paper: Should Indian defamation laws be modified? Law Commission Consultation Paper on Media Law broadly deals with the theme of Freedom of Press, which even though isn’t expressly a Fundamental Right under the Constitution of India, has been judicially recognized within the ambit of Article 19(1)(a) which declared Freedom of Speech and Expression as a Fundamental Right. This Freedom, as the paper states it, serves the larger purpose of the right of the people to be informed of a broad spectrum of facts, views and opinions. It is the medium through which people gain access to new information and ideas, an essential component of a functioning democracy. The Report talks about a lot of issues which restricted or promoted the Freedom of Press, such as paid news, cross media holdings, opinion polls, sting operations, trial by media, rights of accused and modes and methods of regulation. However, law relating to defamation has assumed special significance in the light of the defamation suit against Aam Aadmi Party leader, Arvind Kejrival. The present media laws in India are an extension of the archaic media laws enacted during the colonial era and demand a comprehensive change. A counter view to this debate for modification contends that the very right to freedom of speech and expression, from which freedom of press emanates, itself is not absolute. It is subject to certain reasonable restrictions, which include the law of defamation and the law of contempt. The law relating to defamation has often been seen as an impediment to the freedom of press as well as the freedom of speech and expression of an individual. A journalist has no special status under defamation laws in India. Although the press enjoys the freedom of speech and expression under Art. 19(1)(a) of the Constitution, defamation is a ground for a reasonable restriction to this freedom under Art. 19(2). The law of civil defamation in India is currently dealt under the law of torts and criminal defamation under Section 499 of the Indian Penal Code. In criminal law, the burden rests on the prosecution to prove beyond reasonable doubt that there was an offence of defamation committed and there was intent to do so. Then it is up to the accused to corroborate that they are cosseted by one of the 10 exceptions listed under Section 499. The paper emphasised on balancing two opposite forces, when bringing out any modification in the defamation laws in the country. On the one hand, instances of fake sting operations or trial by media give credence to allegations of irresponsible journalism. On the other, threats of legal action with punitive damages under the laws of defamation lead to a ‘chilling effect’ on the publication of free and independent news articles and puts undue pressure on journalists and publishing houses. Dr. Subramaniam Swamy reportedly supported this contention at an interaction, organized at The Press Club of Odisha, by stating that, "Criminal defamation amounts to harassment and is unconstitutional. In my view there is a case for deleting the defamation clause by interpreting it with enforcement of fundamental rights,"
Previous attempts by entities such as the Editor’s Guild of India, to decriminalise defamation as far as it relates to journalists, were also quoted in the Consultation Paper. The proposal has been noted by the Law Ministry as well. In 2003, the newspaper The Hindu mounted an unsuccessful challenge in the Supreme Court against the use of the criminal code for defamation, on the ground that it violates the press freedom guaranteed by the Constitution. The paper thus emphasized a consideration of defamation laws as well, while undertaking a comprehensive review of laws regulating the media. This law of defamation has also become complicated due to the exponential growth of media, particularly electronic media, which has resulted in a decline in an individual’s privacy. This simplicity of dissemination of information leads to re-circulation of defaming content, time and again, making it perpetually impossible to remove the content, once it gets online. Section 66A of the IT Act makes it a punishable offence to send messages that are offensive or false or created for the purpose of causing annoyance or inconvenience, danger, obstruction, insult, injury, criminal intimidation, enmity, hatred or ill-will, through a computer device. However, no standards to indentify such offensive information have been laid down, which often leads to misuse of the provision for politically motivated arrests. The Paper cites the recent example of two professors in west Bengal who were arrested for posting a cartoon criticising a politician. 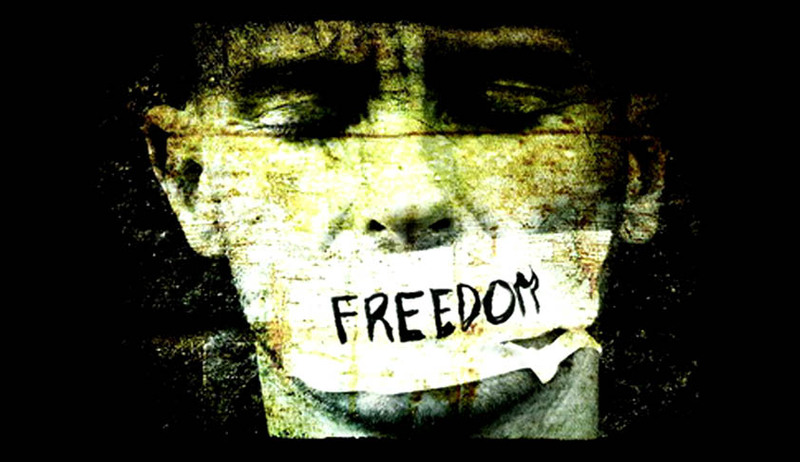 Section 66A is faced with the challenge of being violative of the freedom of speech and expression. In this respect, the Supreme Court has held that no person should be arrested for posting objectionable comments online without permission of senior police officials. The Consultation Paper also spoke about Law Commission's two-hundredth report on Trial by Media, 2006 which recommended the amendment of the Contempt of Courts Act, 1971 to embrace more severe provisions for injurious coverage by the media. It also re-emphasized the need to evaluate the misuse of the sting operations and their impact on privacy. The law of contempt is another ground to lay down reasonable restrictions to the freedom of speech and expression, as envisaged by Article 19(2). While civil contempt refers to the wilful disobedience to any judgment, or order of a court, criminal contempt is an offence under Section 2(c) of the Contempt of Courts Act, 1971, and is punishable by imprisonment of up to six months. It is defined as the publication of any matter which lowers the authority of any court, or scandalises or tends to scandalise, prejudices or tends to prejudice, or obstructs or tends to obstruct any judicial proceedings, or the administration of justice. However, the paper again points out that the definition is extremely wide, particularly as it is unclear what the words “tends to” encompasses. The origin of the law of contempt has been the privileges and immunities granted to the King by Common Law. The Contempt law in England has undergone drastic changes with the changes in the society. It is thus crucial to examine whether following such a law, which originated from the powers of the King should be continued in the Indian democratic set-up. The rationale behind the Indian contempt law seems to be steady administration of justice, without any intrusion. It began with the establishment of the Court of records in the colonial times. Also, it has been held by the Supreme Court in the case of Mohd. Ikram Hussain v State of UP as well as in Pritam Pal v High Court of Madhya Pradesh, that the power of Supreme Court as courts of records, as embodies under Article 129 and 215 respectively could not be restricted by an ordinary legislation, including provisions of the Contempt of Courts Act. However, a different view was adopted by the court in Delhi Judicial Association Tis Hazari Court Delhi, v State of Gujarat, where the Supreme Court held that the power of contempt could be restricted by an ordinary legislation, but the Contempt of Courts Act didn’t contain any such restrictive provision. The Court further held in re: Vinay Chndra Misra that the jurisdiction to take cognizance for contempt was sui generis and couldn’t be controlled by a legislation. Hence, there is a pressing need to clarify the contempt powers of the court. Earlier in April 2012, Advocate Harish Salve, representing Vodafone in the application which complained of misreporting, went to the extent of saying that the Contempt of Courts Act provides only guiding principles and would would in no way limit the apex court’s power on quantum of punishment, which in appropriate cases could exceed what is provided in the statute. The Chief Justice of India, S.H. Kapadia had then opined that the provisions of the statute couldn’t limit the constitutionally provided power to the apex court, under Article 129 of the Indian Constitution, which provides that “the Supreme Court shall be a court of record and shall have all powers of such a court including the power to punish for contempt of itself”. There have been recommendations with respect to contempt laws as well. The NCRWC in 2002 advocated that Article 19(2) be amended to provide for the justification of truth and public interest in matters of contempt. In 2006, Parliament amended the Contempt of Courts Act to introduce Section 13(b), which permitted justification by truth as a valid defence if the same is in public interest and made bona fide. Thomas Jefferson had said that if he had to choose between a government without a free press or a free press without a government, he would choose the latter. The Paper poses questions in order to facilitate this very facet of free press. It seeks answers with respect to the kind of modifications required in the defamation and contempt laws, among several other facets of free press in India. It is high time that such debate is actively participated in, so as to bring about the much needed reforms as well as clarifications.